There is no denying the fact that post and panel signs are most commonly used when it comes to outdoor signage. There are two ways in which you can categorize these signs, one is by the way in which the panel signs are mounted and the other is by the material they are made of. Today, we are going to have a look at both ways of categorizing signs, how you can do it and everything else you should know about them. This categorization is pretty self-satisfactory as well as self-explanatory. It depends on how the signs are mounted. But there are some subtle nuances which make each sign specialized for particular situations. In single post installation, there is a solitary post supporting the sign panel. This is usually reserved for smaller signs because they are lighter in weight and a single post will be able to handle it resulting in cost cutting. Double post signs are mounted using two posts and offer additional support for panels. Ceiling mounted signs are usually hung as indicator or wayfinding signs, and are attached to the ceiling. They can be still or could be swinging depending on what you want. As you would have guessed it, these signs are classified on the basis of the material with which they are made of. Aluminum is the most commonly used material for signs. The panel is usually made from plastic cores covered by hard aluminum shells which gives them extra durability and stiffness. Apart from being considered quality material, it can be designed along with a number of other materials too. From vinyl lettering to paint, all of the options available are sophisticated and sleek. Foam core signage signs are like aluminum signs since they are durable and could even withstand a whole lot of weathering. They are used mostly as monument signs. They could either be left smooth or could be resurfaced using stucco. Even though monument signs are the most popular use for them, they could be used with traditional signs also in order to give them a sleek look. MDO signs are preferred when it comes to temporary signs. They are made of laminated wooden cores and have a smooth white finish. They can even be designed using vinyl letters. Since they are designed for temporary uses and purposes, they are popular at new businesses or construction sites where the signs are just going to be used for a shorter period of time. They are more temporary in nature and it makes little sense to spend too much. PVC is much cheaper when compared with all the other materials used for signage. But it has a different cost. PVC doesn’t last too long on the panel part of a sign. This is because it can easily get warped due to heat. The simplest way to solve this problem is by using the panels with sturdier materials. Another option is to use foam core or aluminum signs for the panel and PVC for the post in order to keep the costs lower. Turn your signs into illuminated signs using LED panels which will offer 24/7 coverage. These signs are most popular for parking lots and can even be used as wayfinding systems at offices and hospitals. 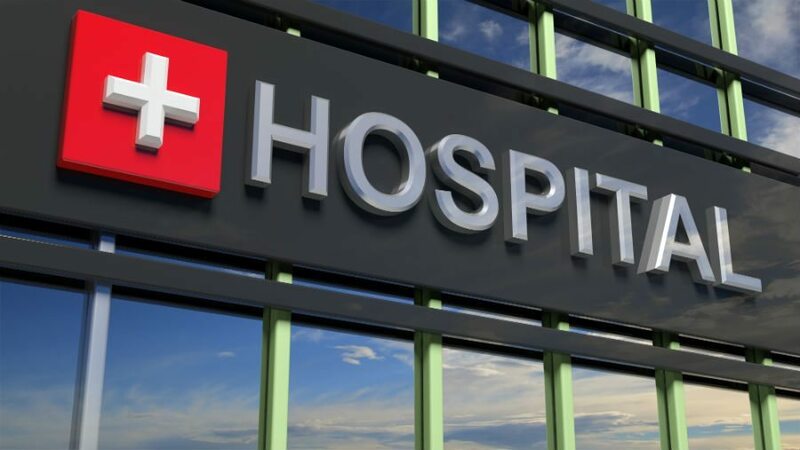 Now that you have attained a better understanding of how signs are classified, and what every material and design is used for generally, you can now make an informed decision about which signs you want to install in your hospital.